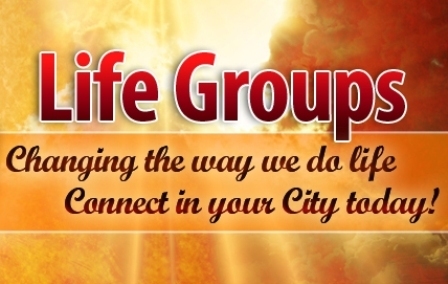 Greater Grace Temple Life Group Ministry was designed as a way to help connect members with the purposeof building relationships, promoting spiritual growth and sharing similar life interests in a small group setting. We have Life Groups for everyone! Greater Grace Temple Life Groups are all about friends, encouragement, prayer and study of God's Word! In a Life Group you can take a break from the busy demands of everyday life and invest in what is really important: your relationship with God and your relationship with the people around you. In a church our size it is impossible to know everyone but you need to know someone. Most Life Groups consist of 8-12 members that meet for an hour to an hour and a half weekly throughout Miami Valley. Our groups are led by specially trained and facilitators and hosts. Why Should I go to a Life Group? Enjoy a night of fun and friendship as you connect with other Greater Grace Temple members who live in your area and build relationships, promote spiritual growth and share similar life interests! We realize that things happen in a small group of people that do not always happen in a large group of people. The Bible gives us many examples of how peoples' lives were changed when they met in homes with small groups of people and the same happens today! Life Groups provide friendships, support, encouragement and an opportunity to gain a closer relationship with Christ. We have a number of Life Groups already established throughout the area, so get connected in a Life Group and watch your life change! Interested in Hosting a Life Group? We have a number of Life Groups already established and encourage you to take part in them! If you are interested in taking the next step and would like to lead or host a Life Group, leadership opportunities are available. If you love God and love people you could be a great Life Group Leader! We have created a structure to help you grow and succeed in being an effective small group leader and a leader in life. To learn more about hosting or leading a Life Group, please contact us about joining our "Journey to Success" program and learn how to start your move towards becoming a Life Group leader.